India had already eclipsed its best-ever tally at a Youth Olympic Games on Day 2 of the extravaganza and by the end of it, had further return to rejoice. 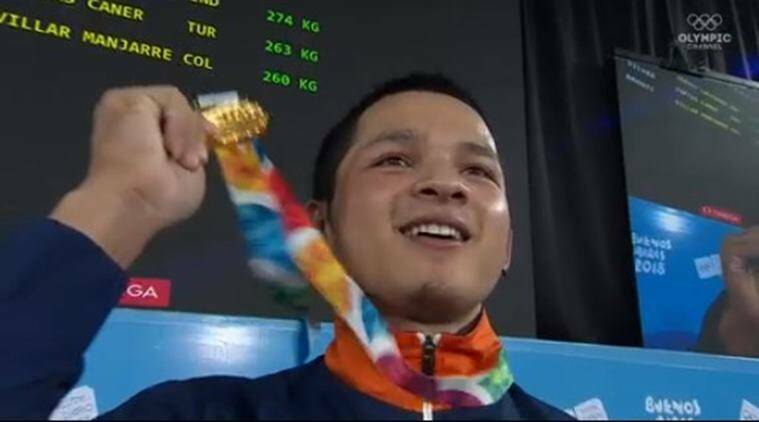 Having won three silver medals, India won their first gold medal at the 2018 Youth Olympic Games in Buenos Aires, Argentina with Jeremy Lalrinnunga lifting 150kg on his last attempt for a combined 274kg. This is India’s first-ever gold medal at the Youth Olympics. In the two editions prior to this, India’s best performance was two medals in the 2014 Youth Olympics at Nanjing, China. The gold further highlights Lalrinnunga’s mettle following his World Youth silver medal. Earlier this year, Lalrinnunga claimed a silver (youth) and a bronze (junior) in the Asian Championships, while breaking two national records. While Lalrinnunga bagged a gold medal, weightlifter Sneha Soren could not finish on the podium in the women’s 48kg category, signing off fifth. In swimming, Srihari Nataraj, who competed in the 100m backstroke final despite being a reserve, could only manage a sixth position. India are represented by 46 athletes – their largest contingent – at the third Youth Olympic Games across 13 disciplines.